To continue to support our partnership with Northern Rivers Community Foundation (NRCF), The Farm proudly unveiled the NRCF Wishing Well, an exciting community project that donates 100% of proceeds to NRCF. NRCF is an independent philanthropic foundation dedicated to improving the lives of those in our northern rivers communities who are in most need of support. With approximately 500,000 visitors a year we hope to raise a substantial amount for a number of charities throughout our community. To kick off the launch that took place in 2016 Tom and Emma, owners of The Farm presented John Callanan from the NRCF with a $5000 donation. The wishing well is onsite at The Farm and we encourage people to donate and make a wish when they visit. In September 2016 we partnered up with the Liberation Larder – a local organisation that supply approximately 550 meals a week – breakfast, lunch and takeaway containers. These meals are spread throughout the local community across Brunswick Heads, Mullimbimby and Byron Bay areas. The Farm donated Liberation Larder a quarter of an acre vegetable plot (part of our Market Garden) to use to grow vegetables. Since then, the project has turned into a social enterprise with a number of local organisations jumping on board. The S.H.I.F.T Project Inc. now man the plot and the Byron Bay Herb Nursery donate the seedlings and help with harvesting! We are very excited to have all three companies work together to help Grow, Feed and Educate the local community. In June 2016 we were lucky enough to have The Green Army join forces with our team here at The Farm. The Green Army is a government run practical environmental action programme that supports local unemployed youth by giving them hands on experience in conservation and farming. The programme aims to give youth the skills to better their chances at future employment. Our skilled staff and horticulturalist were able to provide onsite training and mentorship to The Green Army. Over a three-month period, they planted and maintained over 4500 trees and bushes, installed electric fences, planted over 500 vegetable seedlings, conducted bird surveys and learnt about water quality testing and more. We were extremely impressed by the hard work put in by the team! We were delighted to assist with the launch of Fergus and Delilah, the children’s picture book that will change the way children view disabilities. Local author Erin Knutt and illustrator Misa Alexandra launched the book here at The Farm in November 2016. We see this book as a crucial step towards achieving an inclusive community where every child has the opportunity to thrive. With this in mind, the decision to support the children’s book was simple. Here at The Farm we are dedicated to creating an environment that nourishes our community. 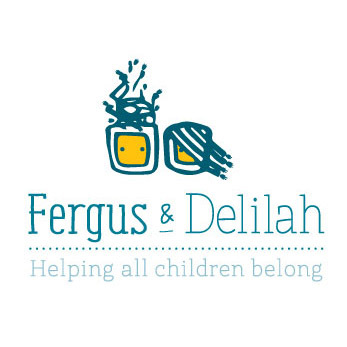 Fergus & Delilah encompasses our focus on inclusion and we love being a place for the younger generation to come together, learn and enjoy the pure surroundings.